There’s no denying the fact that I am a HUGE AmorePacific fan. I absolutely adore their Moisture Bound Refreshing Hydra-Gel Oil-Free for Summer months when moisture isn’t as much of a concern. And in Winter months, I turn to their Moisture Bound Vitalizing Crème to keep my skin well hydrated and glowing. Basically, the collection gives your skin a complete resurgence of moisture. So, if you’re feeling parched following this wretchid winter weather, this line is for you and your face! 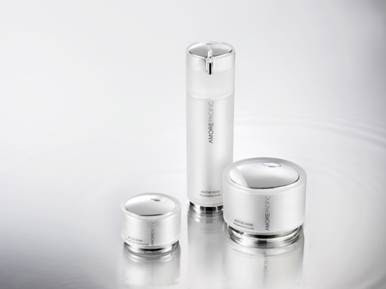 Moisture Bound Rejuvenating Collection promises results of 50% improvement in hydration levels in just one day and 76% improvement in two weeks.Each product in the Moisture Bound Rejuvenating Collection employs AMOREPACIFIC’s 5-Hydra Complex™, a potent blend of Asian botanicals handpicked for their intense quenching benefits and age-delay power. More hydrating than water, Bamboo Sap and Bamboo Leaf extract deeply moisturize while accelerating skin cell regeneration. *Moisture Bound Rejuvenating Creme ($150): This revitalizing creme mimics skin’s own barrier function to achieve optimal moisture levels, effectively improving cellular turnover and regenerating new cells to maintain a fresh, youthful complexion. *Moisture Bound Rejuvenating Eye Treatment ($85): This penetrating formula intensely hydrates the delicate eye area, fortifying the most vulnerable skin against aging. *Moisture Bound Rejuvenating Serum ($100): The oil-free, lightweight consistency assures fast, efficient delivery of nutrient-rich Bamboo Sap to the deepest layers of the skin, working synergistically with complementary Moisture Bound Rejuvenating treatments to delay and correct premature skin aging, such as surface lines and wrinkles. Yes, the products are a bit on the pricey side, but they last for ages and they are soooooo worth it. Your skin will glow, and when your skin glows, so too does your soul. Ugh, that was tres cheesy. You get my point. Good products = good skin. Sometimes, it’ll cost you!